Le Puy Camino or Via Podiensis is the Camino route starting in breathtaking Le Puy-en-Velay, near Lyon, in France. This is the most popular of the Camino de Santiago routes in France. 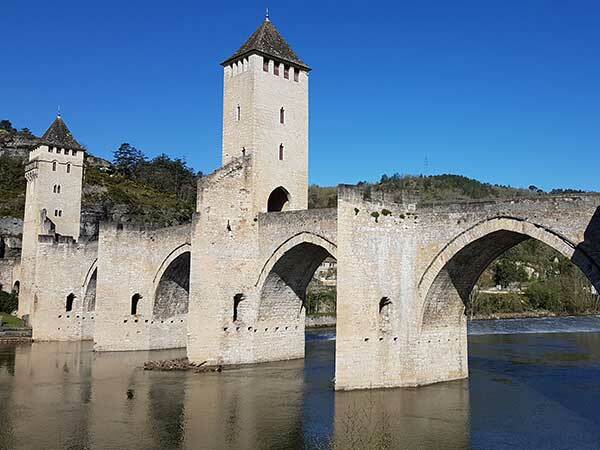 The volcanic landscapes of Velay, the wild Aubrac plateau, the picturesque town of Conques, the splendid vineyards of Armagnac brandy and the outstanding Pyrenees Mountains are some of the wonderful sights to enjoy on this route. 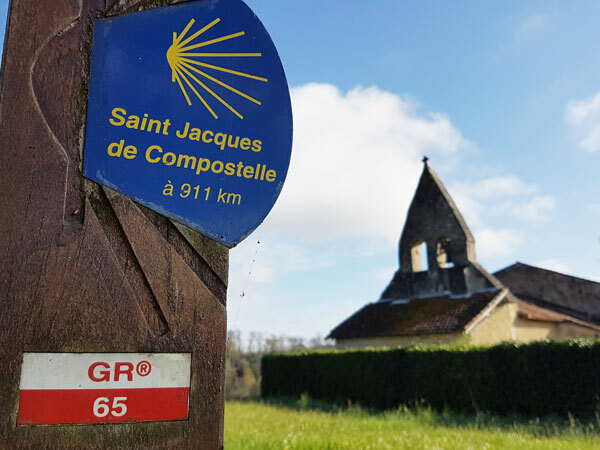 The Le Puy Camino route is a superb hike through stunning countryside and some of the most beautiful towns in France. Le Puy-en-Velay is the impressive starting point of the Le Puy Way. 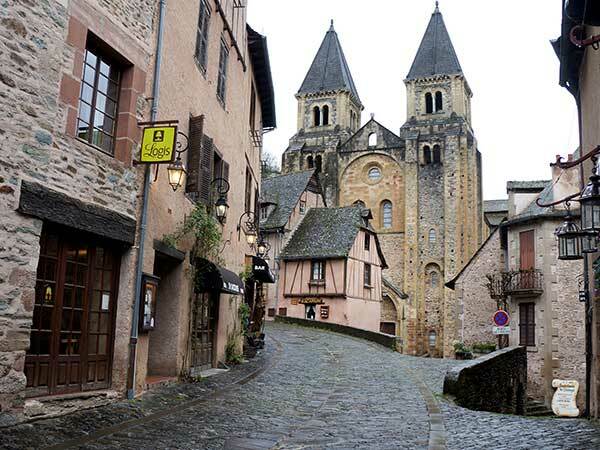 Le-Puy-en-Velay has some stunning highlights like the Saint Michel d’Aiguilhe chapel perched on the top of a 85-metre high volcanic rock, its very special Notre-Dame du Puy Cathedral and the Notre-Dame statue overlook the city. 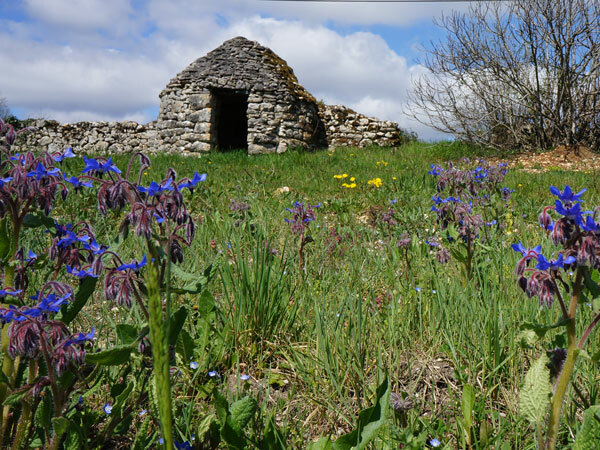 After leaving Le Puy, the route is a fantastic rural hike through areas of outstanding natural beauty such as the Aubrac plateau and the Pyrenees, as well as gorgeous towns and villages. It used to be said that the Le Puy route passes some of the most beautiful villages in France, until it reaches its final point in St Jean Pied de Port. There, the most dedicated pilgrims can continue their way to Santiago de Compostela along the famous French Way. You will be pleasantly surprised by the varied scenery along this route. From high, empty plateaus to the Lot region with its vast green landscape and abundance of trees. This is a beautiful way of walking one of the four main pilgrimage routes through France. The route is well marked with red and white stripes painted on tree trunks, stone walls and even houses along the route. Some of the mountain ranges along this way are steep but you will find beautiful resting points in historic villages and towns with gothic and Romanesque features. The Le Puy Camino was mentioned by Aymeric Picaud in the Camino’s first ever ‘guidebook’, the 12th century Codex Calixtinus. 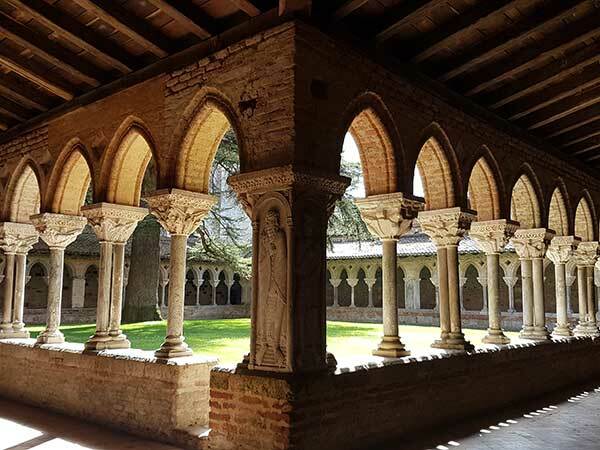 One of the high profile medieval pilgrims to Santiago was Godescalc, Bishop of Le Puy; who went on pilgrimage to Santiago in the 10th century; and is said to have inspired many other French pilgrims to do the same. 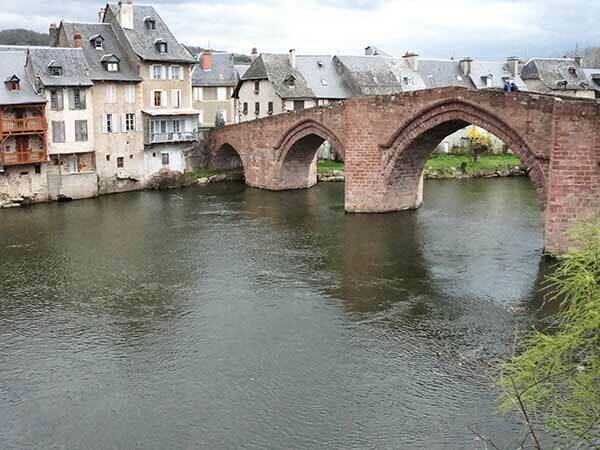 Both the Geneva Way and the Cluny Way connect with the Le Puy Camino at Le Puy-en-Velay while the route joins up with the Camino Francés, in Saint-Jean-Pied de Port, on the French side of the Pyrenees. Read more Le Puy Camino articles on our blog.